AfroCentric Health believes the key to sustainable healthcare is through partnerships and putting the patient at the centre of the process. ‘As a group, we place value in partnerships and believe that there are three things that bind us as partners. They are our triple play: offer the right services, have a decent pricing structure, and have rock-solid customer service,’ says AfroCentric Health CEO Antoine van Buuren. To achieve this, it is important to have accountability whilst actively fostering a strong relationship between the private and public healthcare sectors. Demands on both sectors are growing. The private sector’s high costs keep private healthcare out of the reach of most South Africans, whereas limitations within the public sector often result in a reduced quality of care for the broader public. It is crucial to have a solution that combines the expertise of the private health sector with the broader reach of the public sector. ‘Achieving this is important. Only a small number of the working-age population rely solely on the elite services provided by private hospitals at high costs. Van Buuren believes that alignment between the private and public healthcare sectors is an opportunity that both stakeholders should embrace. Ultimately, it is about working together to make quality healthcare much more accessible to everyone. However, for optimists in the private and public healthcare community, this is not discouraging but rather a challenge and an opportunity for growth. The future of private healthcare in SA is secure and the field will continue to expand annually. Private hospitals are a relief valve for the public sector, which is naturally constrained by budget concerns. There are far too many people, who throughout their lifetime, depend on the state for healthcare services. However, those who can afford private healthcare will choose this option. 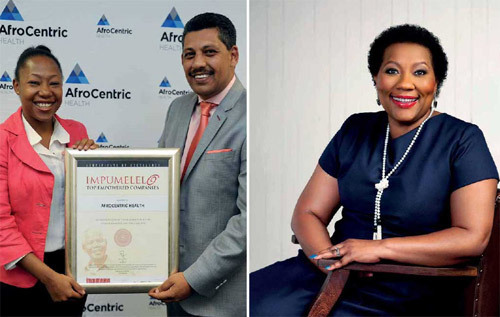 Left: AfroCentric Health was recognised by the Impumelelo Top Empowered Companies awards for the second consecutive year in 2014. 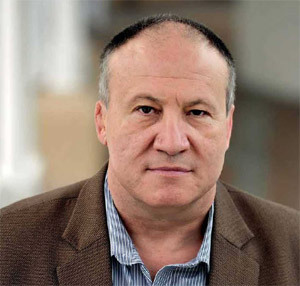 ‘So what is the solution to this often cited impasse between private and public healthcare? I think the answer lies in public-private partnerships, the PPPs, which are increasingly popular in the field of development co-operation and sustainable development. ‘Although not an altogether new phenomenon, the popularity of public-private partnerships in policy circles has grown steadily,’ argues Van Buuren. Broadly, the private sector includes all non-state actors – some explicitly seeking profits and others operating on a non-profit basis. The private and public sectors should complement each other in serving the customers/beneficiaries if they are to work together. ‘The private sector – whose potential can be tapped into to meet the increasing demand – has had tremendous growth in the last couple of decades. The private sector should be encouraged to work together with fellow partners in public healthcare to enhance the technical and financial arrangements,’ he continues. ‘We see ourselves as one of the critical partners who could fulfil the mandate of enabling access, affordability and quality healthcare offerings – this is the space we would like to occupy,’ Van Buuren concludes.